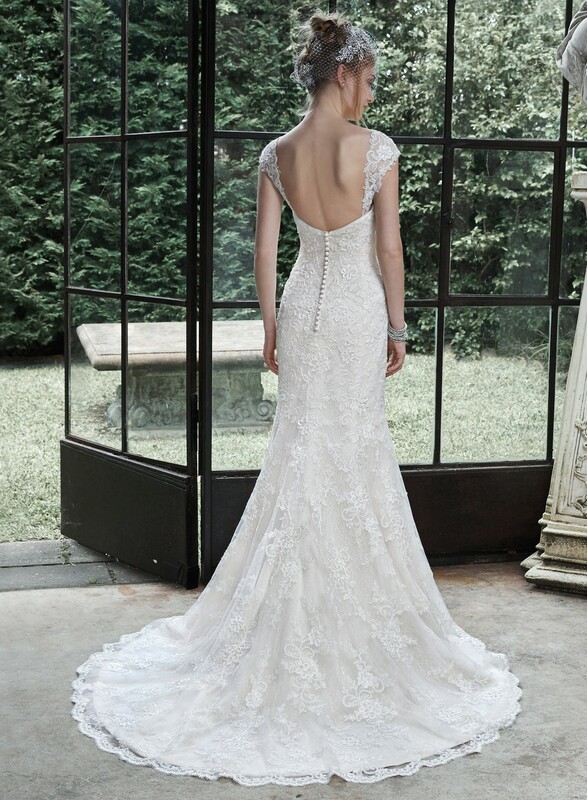 Romantic and elegant, this classic wedding dress is accented with a feminine sweetheart neckline. Threaded metallic lace and covered buttons over zipper and inner-corset closure. Matching detachable cap-sleeves sold separately.